﻿Tracking my sales is critical to my posh business, especially since I am now using those funds to pay my monthly mortgage payment. So, I created this word document calendar that tracks my Poshmark income. I attempted using the excel spreadsheet from Healthy Girl Fashion, but the formulas were too tedious for my taste. 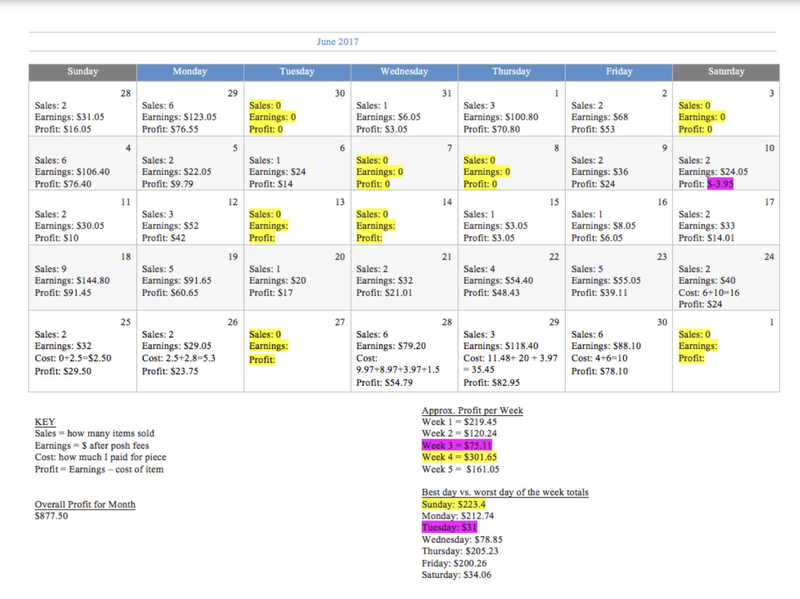 Here is a screenshot of my month of June outcome once it’s all filled in. I would love a copy of the posh income calendar! Hi there! Feel free to email me at: cynthia.mendoza236@gmail.com & I’ll forward you my posh income calendar. Hi! I would love a copy of the posh income calendar! Thank you!